Raichur/Bengaluru, Nov 2 2017, DH News: Days after sending commuters into a panic over a new ban on pillion riders on bikes under 100 cc engine capacity, the state government on Wednesday said the relevant rule would be amended as a relief to bikers. Speaking at the district police parade ground in Raichur, Transport Minister H M Revanna promised necessary action allowing registration of below 100cc bikes and pillion riding. "Section 143/3 of Karnataka Motor Vehicles Act, 1989 will be amended," he said. According to the rule, no pillion seat shall be attached to a motorcycle with engine below 100 cc capacity. "The institute responsible for ensuring automobile safety has allowed pillion riders on bikes below 100cc capacity. Senior officials have already proposed to modify the rule banning pillion riders on bikes below 50cc. I will hold another meeting to see whether we can do away with the rule against pillion riders all together," the minister told DH. Asked whenpeoplecan expect the relief, the minister said it has to be seen whether the rule can be amended through an executive order. 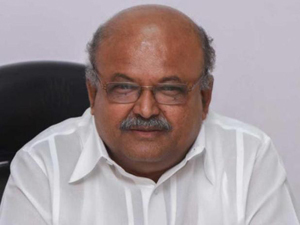 “If not, we willpush the amendment in the Belagavi session of the Assembly starting November 13,” he added. Dwelling on the ban, Revanna said such a ban does not exist any where in the country. “This was not the decision of our government. The banwas in response to a case in the (Karnataka) High Court, which pointed out the rule in section 143/3 of the Motor Vehicles Rules. The rule dates back to 1989,” he said. The minister said officials could have forestalled the confusion. “The high court had sent notices to transport, police and education departments in 2016 while hearing an accident case. But none of the departments replied to the notice. This led the high court to view it asa violation and send a notice to the government, following which we had to abide by the rule,” he said.